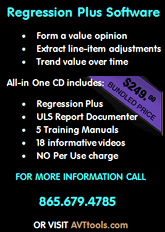 The following has been reprinted with permission from the Oregon Appraiser Certification and Licensure Board — Spring 2008 Edition - Declining Market Designations and Market Forecast Analysis by Larry Green. The issue of a declining market designation is closely tied to employing supply and demand analysis. Identifying and measuring the market is undoubtedly one of the most important procedures for all appraisers to have a clear understanding. The appraiser must know the composition of the market. Some elements of comparison could be: the taxing district, school system, government services, park district, library district, location – urban, suburban, and rural, fire and police districts, lot/parcel sizes, utilities available, quality of improvements, and all identifiable physical attributes, such as age, condition, vehicle parking, and accessory amenities. Let’s look at the supply and demand tool to calculate the absorption rate. Assume the subject property is being presented to the market and design a sales search that will count the number of properties in competition with the subject. Listings available that compete with the subject’s parameters. The number of comparable sales that have closed in the past twelve months and divide by twelve (12) for the average sales rate per month. Note if there is an unusually high or low number of pending sale transactions because it could be an indication of a market change. This MSA consists of Multnomah, Washington, Clackamas, Columbia and Yamhill counties in Oregon, as well as Clark and Skamania counties in Washington. The declining market designation applies to several other regions in Oregon, such as Douglas, Jackson, and Deschutes counties. Newspaper headlines such as “Declining Market Designation Stumps Experts” have been published in several areas around the nation. More and more appraisers are now being asked or required to report market condition as “Declining,” and they feel pressured by their lender/clients and/or appraisal management company (AMC) clients to comply. 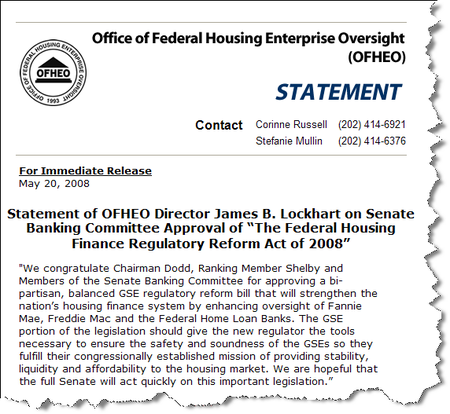 First, Fannie Mae and Freddie Mac (Government Sponsored Enterprises – GSEs) rely on data gathered by the Office of Federal Housing Enterprise Oversight (OFHEO), http://www.ofheo.gov. 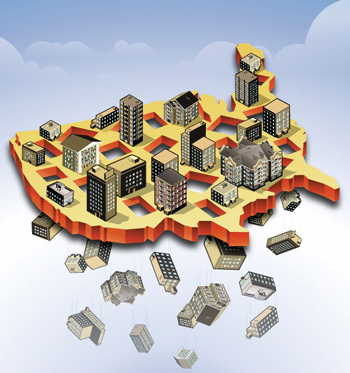 OFHEO publishes quarterly rankings by MSAs based on House Price Index (HPI). 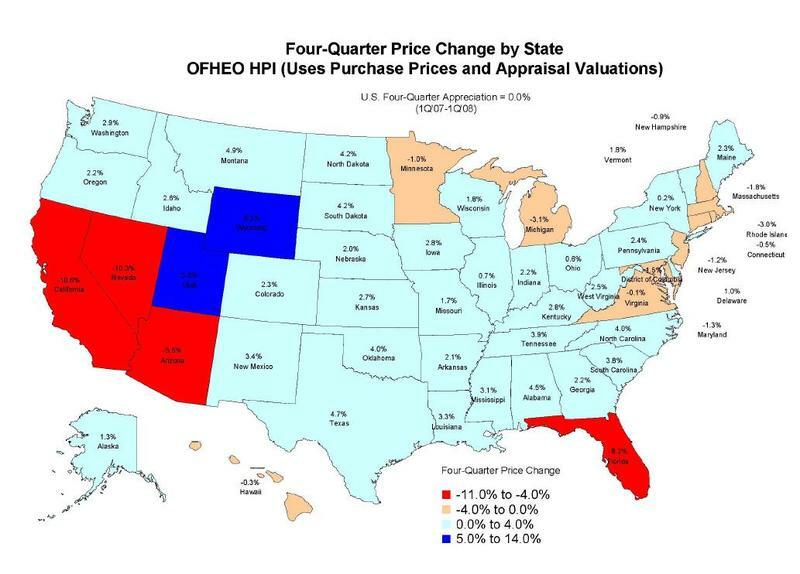 The HPI is a broad measure of the movement of single-family house prices on the national, state, and MSA level. The HPI is a weighted, repeat-sales index, meaning that it measures average price changes in repeat sales and refinancings on the same properties. This information is obtained by reviewing repeat mortgage transactions on single-family properties whose mortgages have been purchased or securitized by GSEs since January 1975. With the release of the fourth quarter HPI, OFHEO made modifications to the way its national HPIs are computed. Most important to appraisers is the separation of the sale-resale purchase-only index from the all-transaction index, which included GSEs refinance transactions of the same property. For a greater understanding of OFHEOs methodology, you should spend some time at their website. Now let’s get back to the “declining” designation. The GSEs identify a declining market when two quarterly statistics decline in the rate of appreciation, not just in a calendar quarter. This method has some good reliability because it provides higher confidence that the data extracted is sufficient to support a valid trend. This article is a first hand account of the 5/22/2008 Virginia Real Estate Appraiser’s Board meeting. These are the author's own opinions. They are not intended as an attack on FNC, INC or any one listed in the article. The article is intended to inform the general appraisal public of the landmark Virginia State Appraiser's Board policy process. The petition was written to prevent online sites, or web-portals from changing or otherwise altering reports that appraisers prepare. Web-portals would include such companies as: AppraisalPort, RELS, and other AI ready required companies. It also seeks to limit the illegal PDF stripping down, and programs that erroneously copy information from reports such as Lighthouse. The fight to protect appraisal data was front and center in Richmond. There were several people there to watch and learn, including Chief Legal Officer for FNC, Neil Olson and Mark Chapin, Vice President, Zone Sales and Business Development for ZAIO. Within the galley were several appraisers from across the Commonwealth of Virginia. From one-man shops to multi-appraiser/multi-area shops, everyone wanted to watch as Virginia bravely looked to change the playing field for the industry. He made it very clear that the conversions were done by the appraiser. It seemed he was very determined to make it known that essentially the liability of the conversion rested with the person initiating the conversion: the appraiser. He also compared the PDF format and the AI format as being relatively the same. Mr. Olson discussed how the major component of the AppraisalPort site was to check for viruses. Many of you may be wondering why that is an issue. Really, it has always been the appraiser’s responsibility to make sure that all reports are sent in secure manners. There has always been the requirement that appraisers have complete control over signing their reports. So why should we be concerned with things as they are enough to try and see that a state board requires non-licensed companies to stop their business practices? It has to do with the requirement of many of these companies to force an appraiser into either doing these things with their reports, or be forever blacklisted from receiving work. They are asking appraisers to send in work in a format that essentially allows them to unlock your data, use it how they see fit. The data is essentially pulled out into sections, including your signatures. 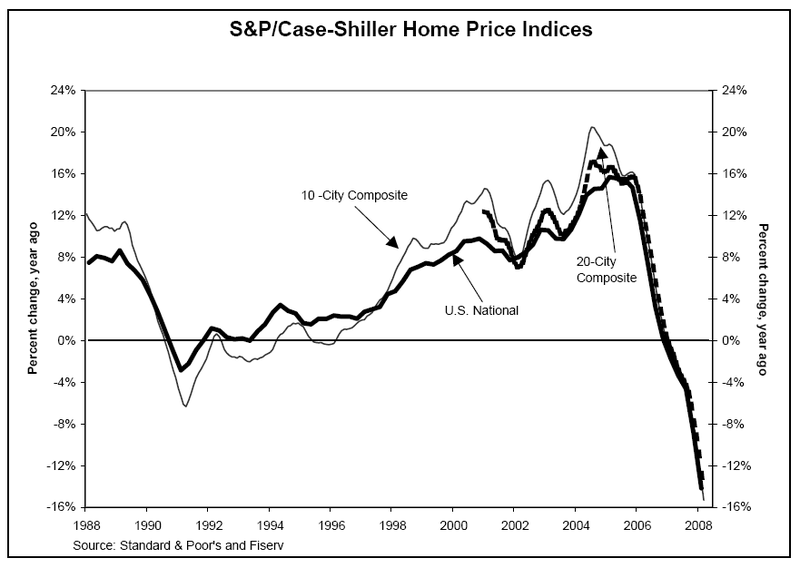 New York, May 27, 2008 – Data through March 2008, released today by Standard & Poor’s for its S&P/Case-Shiller Home Price Indices, the leading measure of U.S. home prices, shows continued broad based declines in the prices of existing single family homes across the United States, a trend that prevailed throughout 2007 and has continued into the first quarter of 2008. The chart above depicts the annual returns of the U.S. National Home Price, the 10-City Composite and the 20-City Composite Indices. 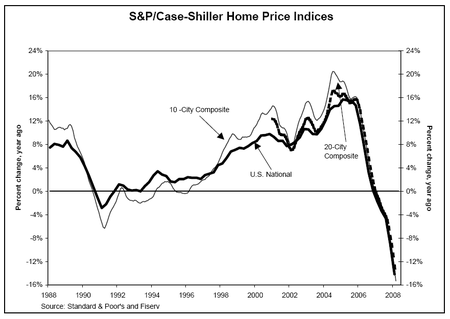 The decline in the S&P/Case-Shiller U.S. National Home Price Index – which covers all nine U.S. census divisions – reached well into double digits, recording a 14.1% decline in the 1st quarter of 2008 versus the 1st quarter of 2007, the largest in the series 20-year history. As a comparison, during the 1990-91 housing recession the annual rate bottomed at -2.8%. The 10-City and 20-City Composites also set new records, with annual declines of -15.3% and -14.4%, respectively. "The steep downturn in residential real estate continues," says David M. Blitzer, Chairman of the Index committee at Standard & Poor’s. "There are very few silver linings that one can see in the data. 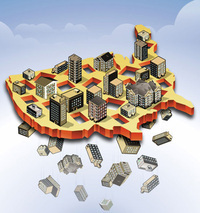 Most of the nation appears to remain on a downward path, with 19 of the 20 metro areas reporting annual declines, and six of those now at negative rates exceeding -20%." "Looking closely at these returns, you can see that 15 of the metro areas are also reporting record lows, and eleven are in double digit decline, with Chicago being the latest metro area to join these ranks. The monthly data paints a similar picture, with 18 of the metro areas reporting at least seven consecutive months of negative returns. For the first time in as many months, we finally saw monthly price appreciation in two of the metro areas – Charlotte was up 0.2% in March over February, and Dallas was up 1.1%." Author: Brian J. Davis, RAA - Brian Davis & Associates - Brian has over 23 years of appraisal experience in Central, IL and hosts the Appraisal Scoop blog, the WinTOTAL Users Group and the ScoopGear marketplace. 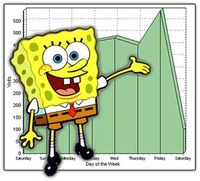 WashingtonWatch.com Polls - Speak Up on Appraiser Issues! Source: USA Today...[Money Section] - Problem Loans: "Unsettling" number of banks are risking trouble by relaxing lending standards, the nation's top banking regulator warned Monday. "The problems we are seeing in the banking industry today are serious", acting Comptroller of the Currency Julie Williams said. "They could presage the same kind of problems that afflicted the industry nearly a decade ago". Many banks were besieged by bad loans during the late 1980's, creating a crisis that led to bank failures and goverment bailouts. There's some important legislation on the horizon that directly impacts real estate appraisers. Unlike the early 80's or 90's, today we have the Internet to assist us in making our wishes known! The polls on the right of the Appraisal Scoop blog are directly linked to the Washington Watch website. Washingtonwatch.com tracks the bills in Congress, along with estimates about their costs or savings, when available. Each bill reference provides information, a chance to comment, or take action. This is a widely read reference and gives independent appraisers another venue to reach policy makers. The Appraisal Institute requests all appraisers immediately contact their Senators in support of H.R. 3915, in addition to speaking out against the appraiser bonding requirement found in S. 2452. Under each poll is the Appraisal Institute's position on the bill. S. 2452, the Homeownership Preservation and Protection Act Could Cost Appraisers Up To $40,000 Annually!
. 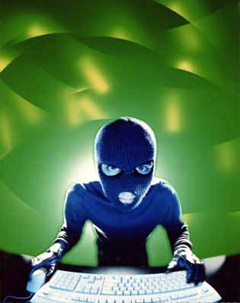 . . several proposal have been introduced to make reforms to the mortgage industry. One bill in particular contains a provision that could potentially put thousands of appraisers out of work and add significantly to the cost of operating an appraisal business. S. 2452, the Homeownership Preservation and Protection Act, would require residential real estate appraisers to carry a bond. According to estimates provided to the Appraisal Institute from leading insurance providers, the bonding provision in S. 2452 would result in $10,000 to $40,000 in annual out-of-pocket expenses per appraiser. Read below for the section of S. 2452 that the AI's Featured Alert is referencing . . .
SEC. 401. DUTIES OF APPRAISERS. `(B) performs each appraisal in conformity with the Uniform Standards of Professional Appraisal Practice and title XI of the Financial Institutions Reform, Recovery, and Enforcement Act of 1989, and the regulations prescribed under such title, as in effect on the date of the appraisal. `(B) any assignee or subsequent transferee or trustee shall be a beneficiary of the bond, only if the originating creditor qualified for such treatment. `(2) act in good faith and with fair dealing in any transaction, practice, or course of business associated with the transaction. `(1) OBJECTIVE APPRAISALS- All appraisals carried out by an appraiser shall be accurate and reasonable. An appraiser shall have no direct or indirect interest in the property to be appraised, the real estate transaction prompting such appraisal, or the home loan involved in such transaction. `(2) BOND REQUIREMENT- No appraiser may charge, seek, or receive compensation for an appraisal unless the appraisal is covered by a qualifying bond. 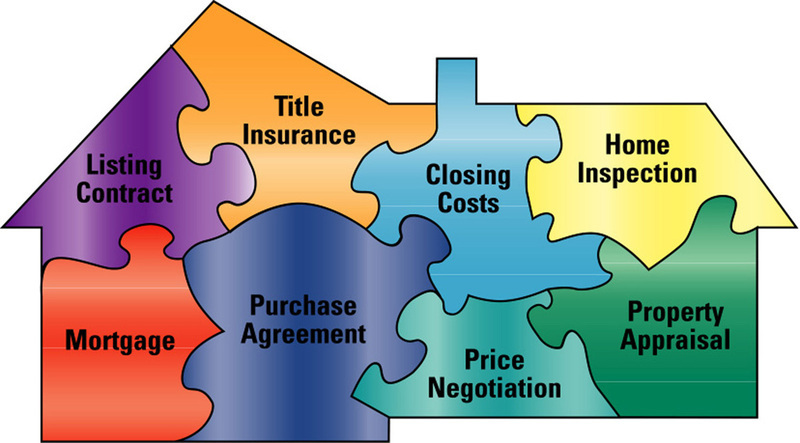 `(B) select an appraiser on the basis of an expectation that such appraiser would provide a targeted value in order to facilitate the making or pricing of the home mortgage loan. `(4) PROHIBITION ON CERTAIN DISCLOSURES- Neither the appraisal order nor any other communication in any form by an appraiser may include the requested loan amount or any estimate of value for the property to serve as collateral, either express or implied. `(d) Appraisal Report- In any case in which an appraisal is performed in connection with a home mortgage loan, the lender or loan servicer shall provide a copy of the appraisal report to an applicant for a home mortgage loan, whether credit is granted, denied, or the application was withdrawn. The first copy of this report shall be provided to the applicant without charge. `(1) REQUIRED MODIFICATION- If a retrospective appraisal determines that the appraisal upon which the home loan was based exceeded the true market value by 10 percent or more, the holder of the loan shall modify the loan and recast the loan ab initio to a loan amount that is at the same loan-to-value which the original loan purported to be. All payments made prior to the recasting of such loan shall be applied to the reduced loan amount. `(2) AGENCY ABILITY TO MODIFY TRUE VALUE TOLERANCE LEVEL- If a consumer has a right of action or a defense against the holder of the home loan when the appraisal upon which the home loan was based exceeds the true market value of the home by 10 percent or more, the regulatory agency which oversees appraisers in the jurisdiction in which the collateral is located has the authority to issue rules which permit the 10 percent tolerance level established in this paragraph to deviate by no more than 2 percent where local conditions warrant. `(3) COLLECTION FROM APPRAISER'S QUALIFYING BOND- A consumer awarded remedies pursuant to this section shall have the right to collect such remedies from the appraiser's qualifying bond. The Appraisal Institute requests all members to immediately contact their Senators in support of H.R. 3915, in addition to speaking out against the appraiser bonding requirement found in S. 2452. OFHEO Releases 1st Qtr. 2008 Index Figures: Decline In House Prices Accelerates In 1st Quarter! Washington, DC – U.S. home prices fell in the first quarter of 2008 according to OFHEO’s seasonally-adjusted purchase-only house price index. The index, which is based on data from home sales, was 1.7 percent lower on a seasonally-adjusted basis in the first quarter than in the fourth quarter of 2007. This decline exceeded the 1.4 percent price decline between the third and fourth quarters of 2007 and is the largest quarterly price decline on record. Over the past year, prices fell 3.1 percent between the first quarter of 2007 and the first quarter of 2008. This is the largest decline in the purchase only index’s 17-year history. OFHEO's all-transactions House Price Index (HPI), which includes data from home sales and appraisals for refinancings, showed less weakness than the purchase-only index. The all-transactions HPI fell 0.2 percent in the latest quarter and was flat over the four-quarter period. Both OFHEO’s purchase-only index and its all-transactions index show much more muted price declines than do other house price indexes. “While house price declines are widespread, homes financed with prime, conforming mortgages continue to hold up better than those financed with other types of mortgages, a phenomenon we’ve been observing for the last several quarters,” Lockhart said. A list of one-year and five-year House Price Appreciation rates for MSAs not ranked. OFHEO’s full PDF of report is at: www.ofheo.gov/media/pdf/1q08hpi.pdf . 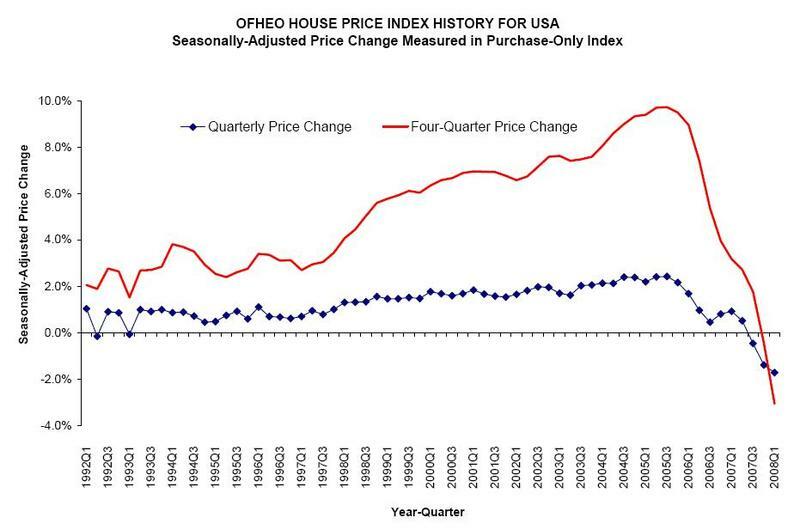 Also, be sure to visit http://www.ofheo.gov to use the OFHEO House Price calculator. Please e-mail ofheoinquiries@ofheo.gov for a printed copy of the report. The next quarterly HPI report will be posted August 26, 2008 and the next monthly index will be released on June 24, 2008. CNBC VIDEO: Do Appraisers Need More Regulation? Appraisal Crisis: Fraudulent home appraisals is the latest chapter in the unraveling of the housing sector, with Alan Hummel, Forsythe Appraisals; Ronald Peltier, HomeServices of America CEO and CNBC's Becky Quick. 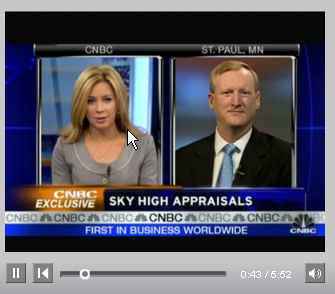 That's the billing of CNBC's latest video story on real estate appraisals: Click here for the video. Actually, fraud and the unraveling of the housing market are minor parts of the interview. Predominantly, the story is about NY AG Cuomo's HVCC agreement, AVMs, and the demand and supply of appraisers and "service providers" in the real estate industry. Becky Quick: "Do you think that Attorney General Cuomo has the right idea by trying to crack down? Alan Hummel: "The spirit of Attorney General Cuomo's agreement is applauded by most. Appraiser independence is the foundation . . the cornerstone of a safe and sound lending environment. Uh, but, we don't need more rules and regulations that he's proposing." Thanks to AppraisalBuzz for the tip! The Federal Housing Finance Regulatory Reform Act of 2008 - New Fannie/Freddie Regulator Proposed! The top members of the Senate Banking Committee reached agreement Monday on legislation intended to help the ailing housing market and impose tougher rules on mortgage-finance giants Fannie Mae and Freddie Mac. WASHINGTON, DC 5/19/2008 – Senator Chris Dodd (D-CT) and Senator Richard Shelby (R-AL), Chairman and Ranking Member of the Senate Committee on Banking, Housing, and Urban Affairs, today announced they have reached an agreement on legislation that the Committee will consider tomorrow, “The Federal Housing Finance Regulatory Reform Act of 2008,” which includes major efforts to help prevent the rising number of foreclosures, to create more affordable housing for Americans, and to reform the regulation of the government-sponsored enterprises (GSEs) in order to improve their role in the housing finance system. UPDATE! 5/20/2008 - NEW YORK (CNNMoney.com) -- The Senate Banking Committee on Tuesday voted 19-2 to pass a housing bill that the panel's leader hopes could be signed into law by July. The package includes both a proposal for a new regulator for Fannie Mae, Freddie Mac and the Federal Home Loan Banks and funding for Federal Housing Administration refinancings of at-risk mortgages, similar to a House-passed package. This Federal Housing Finance Agency would have more power and flexibility to set capital requirements for those government-sponsored entities (GSEs). The Senate bill, titled the “Federal Housing Finance Regulatory Reform Act of 2008,” is nearly 400 pages long and is broken into five titles. and the fifth calls for a study of fees charged by the GSEs. Senate Banking Chairman Chris Dodd, D-Conn., and Ranking Member Richard Shelby, R-Ala., went into last Thursday’s mark-up with still-unresolved differences over GSE reform provisions, including those dealing with the new regulator’s authority to limit portfolio growth at Fannie and Freddie and to change minimum capital requirements. Are you ready for the onslaught of refinances this legislation could bring? The Senate's bill aims to prevent more foreclosures and create more affordable housing, and it would result in a new regulator overseeing both Fannie and Freddie. Faced with the struggling housing market, senators have been negotiating for weeks over the form of a new bill. The House has passed a similar version, which would allow the Federal Housing Administration to insure up to $300 billion in refinanced mortgages.